I am bothered by comment spam as much as the next person, but in the pursuit of science (honest) I also like playing about with the latest spamming tools. The recipe is simple, you spin some comments, submit them to thousands (even millions) of sites in the hope that a few them stick. Spam is BAD for the environment! 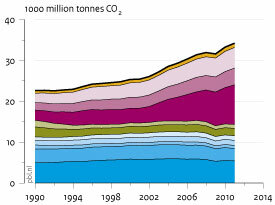 filling hard discs up uses yet more electricity that more often than not is produced by burning fossil fuels! 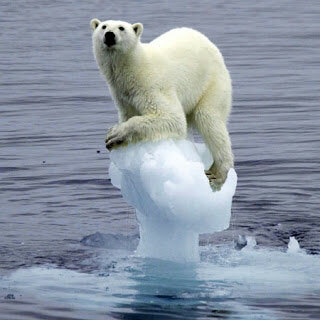 Lets Save the Polar Bears! The best way that I can think to do this is by increasing the efficiency of comment spam. Lets call it “my little way of giving back to the planet“. The problem as I’ve already covered is the hundreds of millions of spam comments left on blogs that will never publish them. Lets start by looking at the near 1,300 comments currently in my moderation queue. and choose to download that as a CSV. Second) Import that into excel and then filter the list to remove any comments you’ve manually cleared. If you just export it normally that should be column K, although that may be different so check first. What we’re really interested in here is column E, which contains the landing page URL of the comment spam. 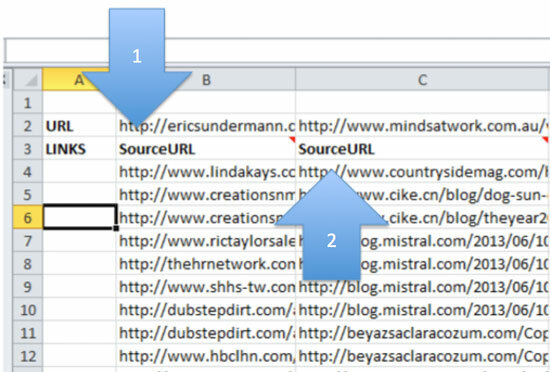 This is where those indiscriminate spammers are trying to send links to, so lets grab that list and drop it into a another sheet and using the rather excellent SEO Tools for Excel by Niels Bosma, alongside API access from Majestic SEO. Third) Lets filter out the domains that are likely to be spammers, and set aside the others for a moment (we’ll come back to those in a later post). Now you’ll have a nice list of both the specific URL that’s being spammed, and the main domain name itself – the next thing that we need to do is grab the Majestic Citation Flow for the Fully Qualified Domain, and the total number of links pointing at the page in question. The Citation Flow function is =MajesticSEOIndexItemInfo(A1,”CitationFlow”,”fresh”,TRUE) again, where A1 appears you want to put the first cell reference of your list of FQDs, and grab the entire list. The External Backlinks per URL function is =MajesticSEOIndexItemInfo(A1,”ExtBackLinks”,”fresh”,TRUE) again, where A1 appears you want to put the first cell reference of your list of URLs, and grab the entire list. Fourth) Now lets filter the list in place, to only domains with a Citation Flow of less than 80 (cF FQD), and sort by total number of backlinks to the URL. 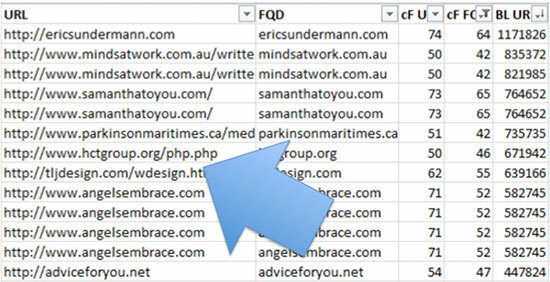 All being well you’re going to see a nice ordered list of the best (well, spammiest) domains that have left comment spam on your blog! Select the top 10 or 20 of those URLs, copy them into a new sheet, and filter in place to unique records only. Now Copy the unique records list, and transpose them into another sheet. You should now be looking at a list of unique, really spammy URLs with one per column. Arrow 1) This is your row of spam heavy URLs from the previous step, transposed. Arrow 2) This is your column of the top 1000 backlinks for each of the above URLs. Lets get save the planet! Now that you’ve got a list of thousands and thousands of pages that have already accepted spam comments, its relatively easy increasing your comment dropping success rate from around 0.01% well up into the 80-90% area. You can build spam links with far more efficiency, you’re saving bandwidth, saving hard disc space, and saving the planet!! This guy thanks you for saving the world, and I thank you for not submitting comment spam on my blog! I’m not a blackhat, why do I care? Well, now that you conceptually know how to mine your comments for URL’s you could just look at comments you’ve already accepted, and check the Citation Flow on those. Genius! I’m going to use this. You have also given me an idea to extract previous emails into an excel file, remove common email services such as hotmail, gmail and yahoo and use the technique to do the same with previous contacts. Worth a try I think! To an uneducated person, you seem to be very angry about tinned meat. 3) Use different private proxies, if I’m doing specifically niche relevant and not spamming style stuff I’ll go with really expensive proxies from the likes of Elite Private Proxies and using Squid/Buy proxies for a couple 100 cheap proxies to spam with.. 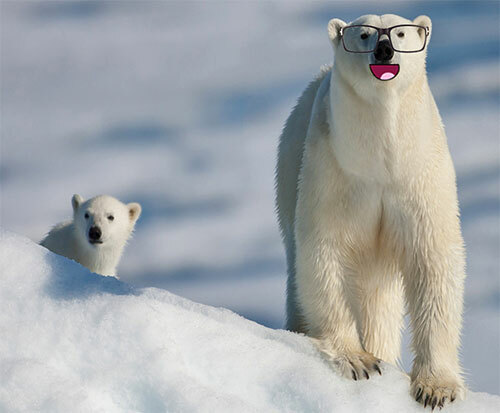 I haven’t looked, but don’t both of those strategies kill Polar Bears? Nope! Niche comments mean higher approval rate due to them being relevant to the content, proxies mean more speed for less resources as they are strong and efficient proxies. The GSA Method means you can remove the need for searching in GSA which is pretty resource intensive. I thought it was a given that everybody tried in some way to spam relevant sites. Like, since 2008. Great article! I can certainly see your point, making an economy of both effort and time will certainly help. I don’t think that polar bears would notice 😀 , but steps taken towards more efficiency are steps taken forward.